Ever since that whole Volkswagen Dieselgate Scandal broke in September of 2015, it’s become more apparent than ever that diesel-powered vehicles, at least those from VW, are goners. Yes, Chevrolet is currently bragging about how fuel efficient its new Cruze diesel is, but the words 'diesel' and 'VW' and 'Audi' are forever divorced. And now, according to Automotive News, even Porsche’s hometown, Stuttgart, Germany, wants to ban diesel vehicles from its city center. Stuttgart, interestingly enough, is also home to Mercedes-Benz, a fellow German automaker known for its lineup of Bluetec diesels. Stuttgart officials have announced that starting next year it will ban diesel cars which do not meet the latest emissions standards from entering the city center on days when pollution is higher than normal. More than likely, this is only the first step in an all-out effort to ban diesels entirely from the city center. Automotive News also adds that "only around 10 percent of diesel cars in use on German roads at the start of 2016 conformed to the Euro 6 standard," an anti-pollution law. In other words, it’s looking clearer than ever that Europe simply doesn’t want diesel vehicles any more. Instead, it’s all about EV and plug-in hybrids, two technologies that VW is currently investing in heavily. 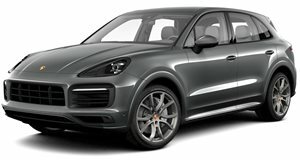 So starting next year, many Porsche Cayenne and Panamera diesel owners won’t be able to enter Porsche’s hometown on certain days. Ironic but probably a necessary step.